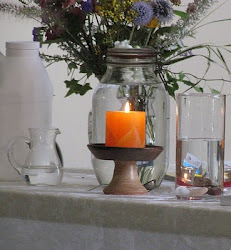 UU A Way Of Life: Letters to the editor - Can religion and spirituality go together? 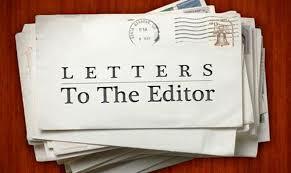 Letters to the editor - Can religion and spirituality go together? You make a distinction between religion and spirituality. Can they overlap? 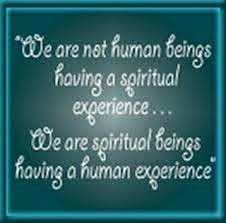 I have been raised in a religious tradition, and I think I am spiritual too. Most of religion is false. It is not the real deal. Unitarian Universalists pride themselves as being free thinkers and even have one of their seven principles, the fourth, which affirms and promotes the free and responsible search for truth and meaning, but this search does not bring the seeker closer to the Truth. The Truth is within, not without, and to go within the seeker must leave the without behind. You can't take your worldly knowledge with you. It not only will not do you any good, it will actually block and create obstacles to your awareness of Love's presence which A Course In Miracles assures us is our natural inheritance. The ego loves to distract and take us on a wild goose chase providing the tools of schooling, diplomas, certifications, awards, trophies, and all kinds of "atta boys," and "atta girls." It provides opportunities to have the spot light as a worship associate, a lector, a chalice flame lighter, a lead singer in the choir, a musician, and usher, etc. There are all nice things and necessary for the operation and doing church, but they have nothing to do with spirituality. So don't be fooled. The signs of spirituality are forgiveness, gratitude, generosity, peace, and joy. These signs of genuine spirituality are very weak in most churches, if they exist genuinely at all. The spiritual quest can be lonely. It is a turn onto the high road. Most churches are walking, unfortunately, on the low road all the while saying pious words and paying lip service. Jesus said, "By their fruit, ye shall know them." The pickings, in my experience, are pretty slim. Then I realized I was looking in all the wrong places and started looking elsewhere. So John, while there may be some small overlap between religion and spirituality, it is very rare. If you are searching for true spirituality, you probably won't find it in church. You will find it within yourself. To go on this search it is helpful to find a spiritual director. A spiritual director is a mentor who understands the spiritual life, has been there, is there, and wants to help others with the search as well. You need to find someone who is a little farther along than yourself. Finding such a person can be a challenge, but as the saying goes, "When the student is ready, the Master appears." Best wishes for your search. What I want for my kids to have bigger and better cars, and a bigger house than I had. I had a Lexus but I always wanted a Porsche. I hope my son gets a Porsche. My wife an I have a 6,700 sq. foot house and I hope my son gets a 10,000 sq. ft. house. My wife an I take a winter vacation to Acapulco and a cruise in the Carribean every year, but I want my son to get away at least four times a year. I hope he can go skiing at Vale at Christmas and to Key West for New Year's eve. We want a better life for our children than we have. That's why I voted for Trump and thank God he is making happen.